I spent the rest of the afternoon trying to put my thoughts together so that when the family was gathered, I would sound confident and in charge as usual. The problem was that I was not feeling confident and in charge. This was an unexpected call with many questions, and I didn’t have answers at this point. This was going to be more of a discussion with the family to find out how they felt about going back to Austria if only to visit our old home. 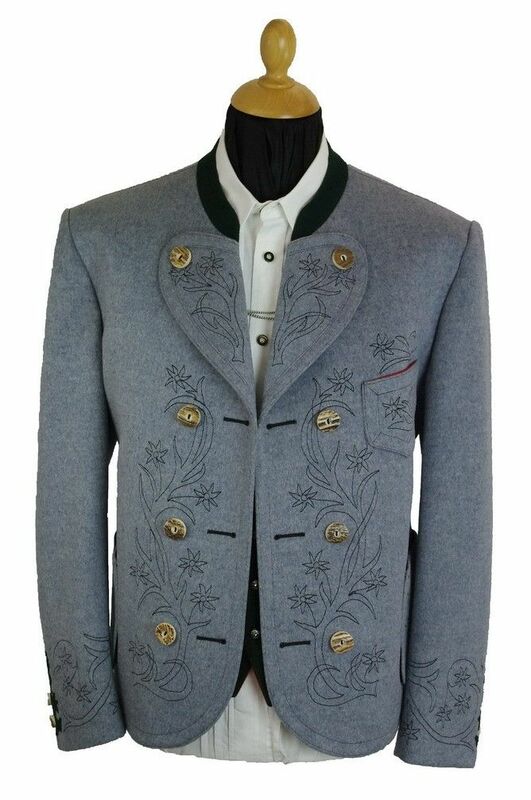 “Maria, how does this look?” as I modeled my outfit, crisply ironed, complete with my Edelweiss Miesbacher Jacket. “Georg, you look wonderful, a perfect outfit for this evening,” Maria said as she finished buttoning up her Austrian Dirndl dress. 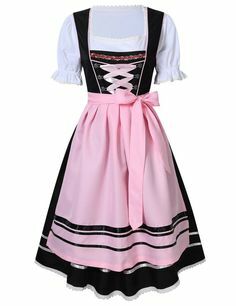 As I was admiring how beautiful she still looked in her Dirndl, I replied “Maria, you haven’t changed a bit. You wearing that takes me back to earlier times when the children were so young.” We hadn’t worn these outfits in quite a while. We used to wear them quite frequently when we met guests at the lodge, but now we rarely brought them out of mothballs. We both felt that tonight was an appropriate time to wear them. Neither of us had spoken much about the letter and phone call, but we must have both been feeling the same way to wear our traditional Austrian outfits to Brigitta’s house. “Do you think that your mom and dad have a clue as to what we want to speak with them about?” Larz asked Brigitta. “No, and I don’t think that the rest of the family has any clue either.” Brigitta replied. “I think that we should have talked to them about this earlier Larz. It’s just not right to have kept this from them since you found out, and to tell them at dinner.” “You know why I couldn’t talk to your mother and father about this, especially your father and the way that he feels about this whole thing.” Larz retorted defensively. “I know, I’m just not sure how it is going to all go down tonight. I pray that everyone keeps a level head.” Brigitta said trying to deescalate the conversation. “Well, once it is out in the open, we can at least discuss it. I am going to go downstairs and finish getting dinner ready for the family.” Brigitta said as she left the room. “Kurt, do you know why Brigitta invited all of us over for dinner?” Kristen asked. “No, I really don’t. She sounded excited and nervous at the same time when she invited us over. I’m sure it’s nothing. They probably have a ski trip planned and want us all to go with them.” Kurt replied, trying to hold back an uneasy feeling about it all. The last thing he wanted to do was to get Kristen nervous about the evening. She was wonderful with the family except when the times that father became irritated over something that struck a nerve. Typically that nerve had to do with any conversation regarding the politics that led up to the second World War. I had made the mistake of reminding Georg that Adolf Hitler had been born in Linz Austria, something I dared not repeat. “Whatever it is, I’m glad they are feeding us!” I said as my stomach started growling. Georg grabbed his jacket as he headed for the green Willy. Maria followed Georg as she found an unknowing employee to carry her accordion for music that she hoped she could enjoy that evening. 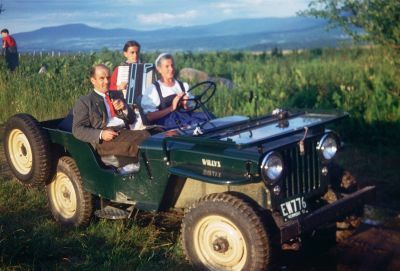 As they headed to Brigitta’s home, they both said, almost at the same time, “I think we should take the family back to Austria, if nothing else, just to visit our old home.” “Georg, I was hoping that you were going to share that news this evening. I can barely stand the excitement!” Maria exclaimed. The trip to Brigitta’s seemed like it took an eternity, even though they only lived 4 miles away. As we finally pulled into the driveway, I noticed that the rest of the family had already arrived. A few of the older kids were out on the front lawn throwing a football. “Hi opa, hi oma. You two look wonderful in those outfits!” Karl said as he threw the ball to Walter. “Danke Schoen Karl. Wie gehts?” I asked knowing that at least he understood a few German phrases. “Danke gut,” Karl replied knowing that I would be proud to hear him respond in my native tongue. As I entered the house with Maria and her accordion toting “servant” close behind, I noticed that all of my children and their spouses were sitting in the large living room. It appeared that Larz had been busy scrounging around for extra chairs so that everyone could have a seat. Strange, as I figured that everyone would be in the kitchen drinking a nice glass of Gewurztraminer along with Brigitta’s signature Bavaria Blue Cheese Mousse with Gooseberry Chutney. This concerned me a bit as this put a different tenor in the evening. “Now that father and mother are here, I figured that it would be best to let you know why we invited all of you this evening.” Brigitta began. Curious looks arose from the family with every cilia in their ears on end to finally find out what the big mystery was. Before Brigitta could finish, I jumped in, not wanting to downplay what had happened only a day or two before. “Your mother and I also have news to share as well, but Brigitta, continue.” Larz jumped in and picked up where Brigitta had left off. “As you are all well aware, my connections within international banking allows me to catch wind of anything that might affect the markets. Knowing our ties to Austria, my boss came to see me on Friday. Typically he is pretty upbeat, but this day he had a concerned look on his face as he shut the door to my office. 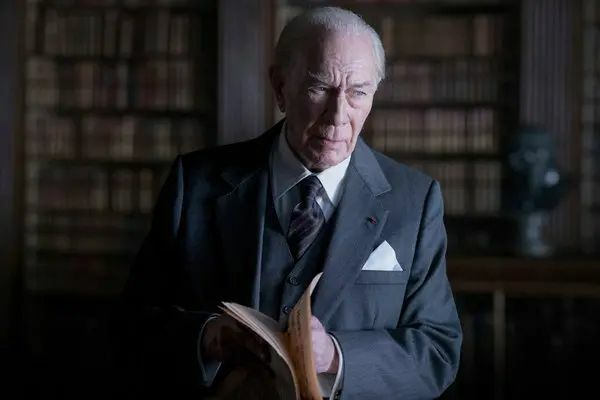 He told me to have a seat and that he had heard from his Austrian counterpart in Vienna that there was a small grassroots movement that was beginning to gain traction within the alpine town of Berchtesgaden in Germany. “What kind of movement Larz?” I asked, almost afraid to hear the answer. 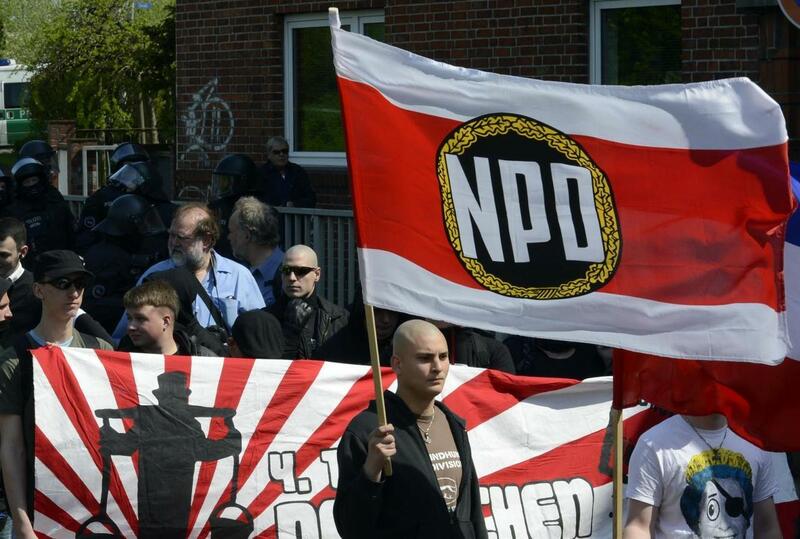 “They are calling themselves the NPD or National Democratic Party of Germany. It sounds nice and civil doesn’t it? My boss told me that they have been described as a neo-Nazi organization. and is referred to as the most significant neo-Nazi party to emerge after 1945.” My heart sank as my mind went back to 1937 and the rumors of what was happening in Germany started to fill the minds of fellow Austrians, thinking that being annexed by Germany was a good thing. “This can’t be happening! Surely both Germany and Austria will not put up with such a felonious group!” I shouted. “There is more.” Brigitta spoke up. “Larz has just found out that this whole movement has supposedly been spearheaded by someone that we know, or at least knew.” “Who is it, Brigitta?” Georg demanded. I sank back in my chair. The dreams that I had been having had now just become a living nightmare. Saturday morning I arose as usual. Maria was already checking in with our manager to be sure that our guests at the lodge were being attended to in the manner in which we wanted them to; Austrian charm and the efficiency of an Austrian Navy. Getting out of bed was getting harder to do as the years passed. I wanted to blame it on old battle injuries, but to be honest, it was just the years catching up with me. This realization caused me to reminisce about an earlier time when I had more energy, and our family was much younger. Suddenly I remembered the events of the day before, the letter from Rolf and the phone call from the Embassy. This caused a jolt of energy to race through my body as the grogginess of a good night’s rest was suddenly displaced with questions, and I remembered the ambassador’s question, “Mr. Von Trapp, the Austrian government, wants to know if you will be moving back to Austria. ” Just when I thought that the rest of my life was well planned, no more surprises. I wanted to push the question out of my mind, but I had a decision to make. The requirements of the will had to be finalized. Either we were going to accept their offer or let the state take over our former home. This was not just a decision for me; this was going to have to be a family decision. We were expected to go to Brigitta’s tonight. Maybe we could get the rest of the family to show up, and I could talk to everyone at once. I found Maria in our home office, a small room that we had converted into an office away from the lodge. She had just hung up the phone with our lodge manager Bruce while I approached her, bending down to gently kiss her cheek. She still had more energy than I ever did. “Maria, I know that we are going to Brigitta’s tonight. Do you think that we could get the rest of the family to show up? I want to talk to them about the letter and phone call that I received. This is a matter that we need to talk to the rest of the family about.” I explained. 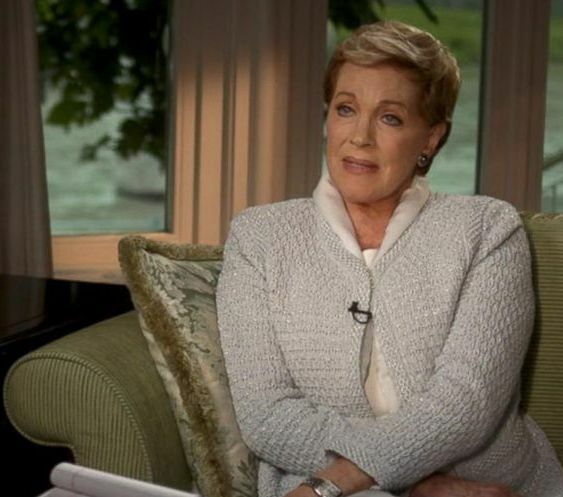 “I can call the rest of the family and see if they are available. Everyone is so busy. I will let them know that we have something to discuss.” she replied. “Ok, let me know who can go. In the meantime, I want to spend some time going over the ramifications of even thinking about this.” as I headed to get a cup of coffee in the kitchen. Kurt stated. “Oh, ok we look forward to seeing you tonight,” I said as I hung up the phone. Strange, I wonder why Brigitta had already asked Kurt and Stephanie. My next call was to Gretl. “I called her number but only received her answering machine. “Gretl, this is mom. Your dad and I were wondering if you and Brandon were available to come over.” Before I could hang up, Gretl picked up the phone. “Hi mother, sorry I was just getting ready to go to the market to pick up some things for tonight. We are going to Brigitta’s, and I promised to bring something.” “You were invited too?” I asked astonished. “Yes, she said that she and Larz had something that they wanted to talk with us about. From what she said, she said that she was going to try and get everyone to be there.” My head started to spin. Georg wanted the family together so that he could speak with them about the letter, the will and the phone call from the Austrian Embassy and here was Brigitta wanting everyone to come together so that she could talk to us about something she and Larz had been thinking about. Could it be the same thing? She couldn’t be pregnant; she was way past childbearing age and happy that their children were out on their own. “Um, ok then I guess we will see you tonight. At this point, I stopped making phone calls. It seemed as if everyone was going to be there. I got up from the chair and walked into the study with a very puzzled look on my face. Georg looked up from the desk where he was busy writing on a piece of graph paper. He continued to use graph paper to write everything on from his days at the Academy in Austria. “Maria, now it seems that you have seen a ghost. What is it?” “All of the children have already been invited to Brigitta’s tonight. It seems that you will have your audience.” Maria replied slowly and cautiously. We both looked at each other asking ourselves the exact same questions I’m sure. This was becoming more and more confusing. “I wonder if Brigitta received the same letter that we did? Can it be possible that Rolf has kept in touch with them all of these years? They couldn’t possibly keep that secret from me!” I said in my authoritarian and patriarchal tone. What I didn’t know was that tonight would hold even more surprises than the day before.